Restore Physical Therapy is an independently owned and operated outpatient therapy clinic in Edmond, OK. Our services are focused on women, are provided by women, and are offered to improve the lives of women in all stages of life. Our specialty services focus on women recovering from breast cancer, cancer-related side effects and treatments, and other musculoskeletal issues that impact your joints, balance, safety and ability to function in your day-to-day activities. In this constantly changing healthcare arena, Restore Physical Therapy is here to meet your individual needs, specific to your diagnosis, with ease of access to the required services. Our goal is to restore your function, to educate you so you have a better understanding of your diagnosis, symptoms and treatment plan, and to empower you to restore your body, and restore your life. 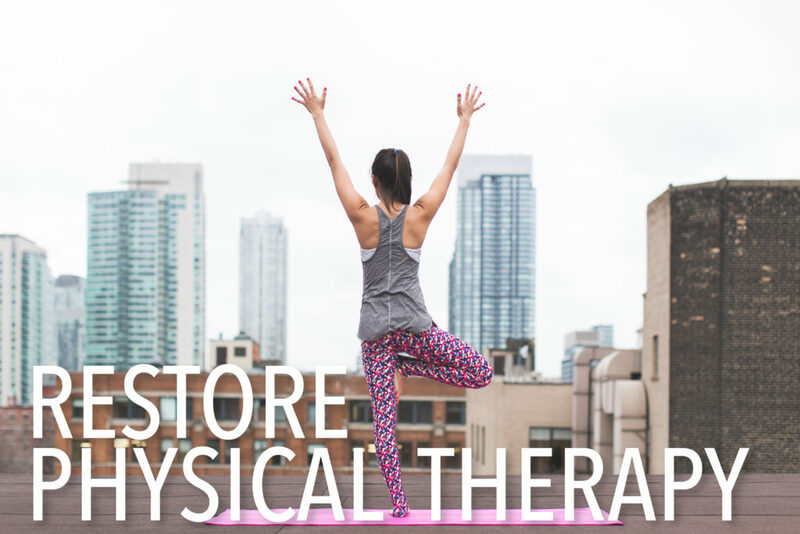 Come see us at Restore Physical Therapy! Restore Physical Therapy and the Trinity Health and Wellness Center offer female-only patients a tranquil and healing environment far from the chaos of the hospital and the sterility of conventional physical therapy practices. Patients will find comfort in having the same physical therapist from evaluation to discharge and then find an easy transition to a customized exercise program with equipment and an environment patients are already comfortable with. We promise patients an individualized, patient-centered experience in a peaceful and encouraging setting unlike any clinic or medical practice they have seen before. The trust and comfort of our patients is essential to providing the highest quality care. That’s why our office is intimate, soothing, and restorative. In our practice, there is no rush, no double-booking appointment times, this time is for you and your restoration. In addition to our large, open exercise studio, we provide private rooms for your initial evaluation and for your one-on-one sessions, if needed. Our atmosphere of healing and relaxation compliments our integrative and trauma-informed approach to patient care. We know that the trust and comfort of our patients are essential to providing the highest quality care. Patients come to Restore not only for physical therapy, but to ease their stress and anxiety, revive their bodies, and focus their minds on what is most important. We will focus on meeting and re-evaluating “YOUR” goals together. Your lifeline to restore mind, body and spirit so that you can move and enjoy life! We are proud to parter with Trinity Health and Wellness Center in order to offer you a mindful approach to healthcare and healing. Along with the fitness professionals at Trinity, we promise to consider each patient’s body, mind, and and spirit while offering you a well-rounded treatment and rehabilitation plan.